In step with the growing popularity of online barter sites for individuals such as Craigslist, International Monetary Systems (OTCBB: INLM), a worldwide leader in business-to-business barter services, recently announced that their online barter marketplace has reached a record high of $10 million in product postings. This is in addition to the more than $150 million dollars of products and services available in the entire IMS nationwide network. IMS launched the first nationwide online barter marketplace for members earlier this year. Members are able to shop and purchase products with their IMS trade dollars all online. John Strabley, IMS� executive vice president, stated, �Our trade broker network is reporting numerous success stories from our online marketplace: A member in California with infrequent sales because of her specialized product has made 70 sales on the national barter marketplace in the last 180 days. For more information on IMS see www.imsbarter.com. 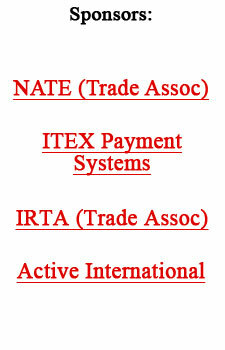 ITEX Corporation (OTCBB:ITEX), a leading marketplace for cashless business transactions in North America, has filed its Form 10-Q with the Securities and Exchange Commission and announced results for its fiscal 2009 first quarter ended October 31, 2008. White explained, �In the first quarter of fiscal 2009, we increased staffing in our sales department and continued to invest in our technology infrastructure to further strengthen our foundation for future revenue growth. We are building in areas we believe will generate positive returns without exposing the company to significant risk. As a result, corporate salaries, wages, and employee benefits increased over last year due to strategic hires. �We expanded our staff in our broker support team, including a senior management position, sales specialists for our new media services sector in connection with our August 2008 acquisition of the media services company assets, and additional staff in our technology department in order to pursue our Software as a Service (SaaS) initiatives. �SG&A (selling, general & administrative) expense also increased over last year primarily due to an increase in professional consulting expenses for investor relations and investment banking, and to a lesser extent, outsourced development of our technology platform. �For the remainder of this fiscal year we expect to continue to invest in our future; to be aggressive in investing our cash flow and earnings, and utilizing ITEX Marketplace resources to build market share, grow our business and capitalize on opportunities that arise in difficult economic conditions. �During recent months we have had several positive news stories providing us with great media exposure, which can be viewed in the News section of our website at www.itex.com,� he concluded. � Revenue of $3,899,000, compared to $3,853,000 in the same period last year. � Net income of $45,000, compared to $156,000 in 2008. � Net cash provided from operations of $706,000, compared to $803,000 in 2008. � Cash at end-of-period was $1,282,000, compared to $1,061,000 at July 31, 2008. � ITEX Media Services was launched with the August 1, 2008 acquisition of a media trading platform and media and travel clients. � Created a new business development department tasked with creating relationships with companies that have a national presence to assist with our growth on the local level. � Signed a partnership agreement with iCare, a division of SYSCO, Inc., an enterprise-level supplier of products and services to the food service and hospitality industries. � In November, entered into an agreement with U.S. Bank to increase the maximum loan amount under our revolving credit facility from $1.0 million to $1.5 million, to lower the interest rate of the facility, to remove certain borrowing base limitations, and to extend the maturity date to November 30, 2009. � In November, paid off the remaining balance of our Promissory Note due to The Intagio Group for the recently acquired media services assets. ITEX Corporation�s report on Form 10-Q can be found at www.sec.gov. Case in point: Michael Garzouri, owner of the Killer Baking Company in Northern California, says he does 30% of annual business in trade. Garzouri acquired his ovens on trade, through the IMS Barter system. He says he�s always looking to barter, because �I�m paying for the acquired products or services with my brownies � at my cost.� It�s impossible to buy at a better price. Richard Salome, a Florist in New York, maximizes his profits by acquiring gourmet chocolates on trade...and then uses the chocolates in his gift baskets. He also looks for other products useful in the operation of his florist business, like hotel rooms when attending flower auctions, shipping labels, and dental care for all of his employees and family. A recent story on AdWeek.com reinforces the changes taking place in today�s marketplace. Manufacturers and wholesalers, faced with slower sales, are experiencing excess inventory headaches. Result: They�re becoming pro-active and talking openly to their ad agencies about solutions that include barter � even incorporating it into the RFP (request for proposal) process. When it comes to the spend-down of trade credits, traditional media is still the core offering. But we are beginning to see digital media requests for a company�s use of trade credits, which is sure to grow in the future. And globally, larger multi-national clients are wanting to apply trade credits accrued in one region of the world to be transferred and used in another part of the globe. Unsold inventory acquired �on the cheap� from China � everything from clothes, jewelry, TVs and furniture � is quickly being moved out by U.S. merchants into countries where they are not bound by contract restrictions. That way retailers will often receive a higher price for the products, than if selling to domestic close-out firms and liquidators.